Definition of Parallax: Parallax is an apparent difference or displacement in the position of an object when viewed along two different line of sights. This difference or displacement is measured in terms of the angle of inclination between the different line of sights. The term "parallax" is derived from the Greek word parallaxes which means "alteration". Sometimes parallax may be an unintended consequence (e.g. parallax error in photographs) and sometimes it may be applied scientifically to achieve some purpose (e.g. by astronomers to measure the distance of a star or a galaxy). Here we shall understand how parallax error influences photography and how to guard against it. In photography, parallax error usually occurs in twin lens reflex cameras. For example, cameras which use a different optical system for the viewfinder and a different lens for image capture. This is most prominent in extreme close-up / macro photographs and does not impact other long range photos too much. It can be virtually undetectable in panoramas / landscape photographs which have no foreground subjects. However in the case of landscape photographs with a foreground subject, there is significant scope for parallax error. This parallax error can be illustrated by a simple experiment using your finger and a digital camera. Point-and-shoot cameras normally have a twin lens reflex system with a separate optical viewfinder and lens for image capture, whereas D-SLR’s have a single lens reflex system. Why does parallax error not occur with an SLR or a D-SLR camera? Both SLRs and D-SLRs are single lens reflex cameras which use a single lens for both viewing photos with the viewfinder, as well as for capturing photos. It is known as a TTL viewing system. (TTL = Through the Lens). 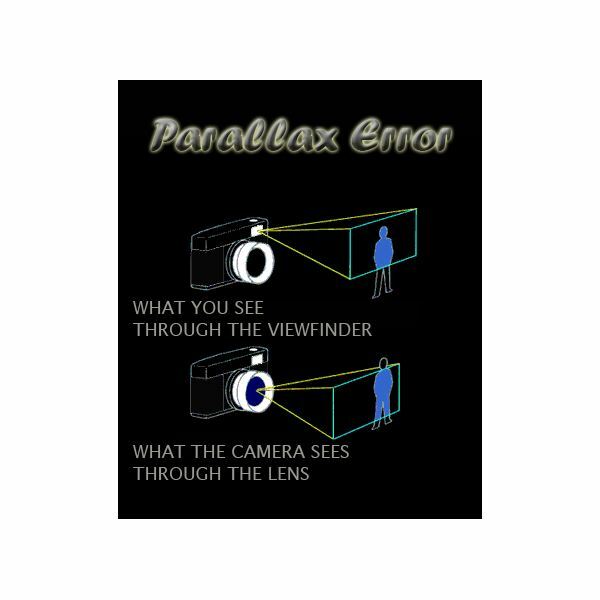 Therefore there is no scope for parallax error to occur with either an SLR or a D-SLR. Read the following Bright Hub article to understand the differences between a point-and-shoot digital camera versus a D-SLR camera and determine which is best for you and your photography needs: Point & Shoot or DSLR Camera – Which is Right for You? As described above, parallax error occurs while shooting macro photographs and does not effect long range photos much. Hence if you are fond of macro photography, and use a twin lens reflex camera (any camera aside from a D-SLR). During macro photography, there can be a small difference between the frame which is shot by the camera, and the frame seen through the viewfinder when using a twin lens reflex system. In order to correct for this, one should take a few photographs and experiment to identify the amount of difference in the frames. By doing so, one will be able to judge how much one should compensate (while shooting) in order to get the frame exactly as desired. This parallax error would seem similar to two shots in which the camera has been panned vertically. During panorama photography, when multiple shots are being taken to be digitally stitched together later, sometimes the presence of foreground objects will lead to parallax error. In order to avoid parallax error in panoramas, one should shoot photos without any foreground subjects. However, if there is a foreground subject, one can still take a panorama if the camera is rotated about the nodal point of the lens. Here, the parallax error is due to the horizontal panning / rotation of the camera.